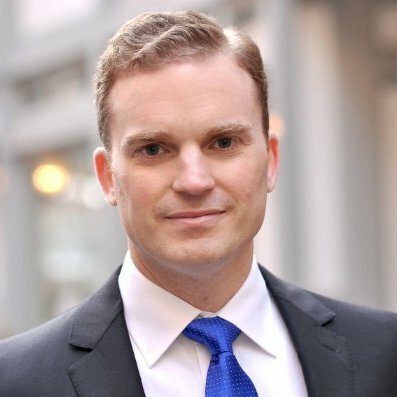 Learn how Richard Essig disrupted his industry’s business model with social selling. How can you find marketing and sales strategies that are both effective and efficient for your business? 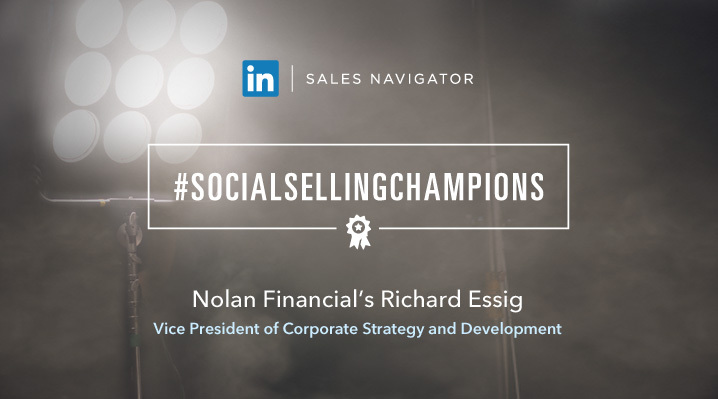 Richard Essig, Vice President of Corporate Strategy and Development at Nolan Financial shares how his company discovered the value of social selling and achieved enormous success in our monthly series #SocialSellingChampions. Fortunately, a lot has changed since Wanamaker’s time. Thanks to the digital revolution, marketers have troves of data to define, identify and track customers like never before. And yet, we still face the same perennial challenge. While that quip is from the late 19th century, it sums up the biggest question marketers face today: what tactics will be most efficient for my business? There’s no clear-cut answer. More data and resources don’t automatically equate to smarter marketing. To help answer this question, businesses need to closely examine their business model, isolate key challenges, and determine which resources can help them overcome these challenges. That’s exactly what we did at our company, Nolan Financial. Nolan Financial is a financial wholesaler working in a business-to-business (B2B) market, and we operate by a very particular business model. Our clients are large institutions; we reach them by working through financial advisors and insurance producers that have existing relationships with the prospect. To optimize our marketing, we set out to isolate the key factors in all the cases we closed over 26 years. We looked at several variables, including the partnering firm, job title, geography, age, prior work history, and more. A clear pattern emerged. The one variable that stood out the most was the strength of the broker’s relationship with the firm. Simply put, relationships were the one factor that moved the needle the most. The next step was determining which marketing tactics would allow us to capitalize on this insight. After reviewing several platforms, we found that only one could support our goal of identifying brokers with strong relationships to our target institutions: LinkedIn Sales Navigator. With these new social selling tools and tactics, we’re able to see which partners in our network are connected to key stakeholders at target institutions. When we find these connections, we’ll email our partners about the opportunity, with instructions on what to do next. By proactively sending leads to our partners, rather than waiting for leads to come in, we’re disrupting the financial wholesaling model. The traditional model of meetings and conferences was costly, time-consuming, and yielded bad prospects. Since launching Sales Navigator, our pipeline has grown 2x—and the quality of prospects has markedly improved. After one year of running our program with tremendous success, I wanted to figure out why this works so well. Was there an underlying reason that allowed us to uncover so many potent connections to key institutions? The answer came from a book I read years ago called Innumeracy, by the mathematician John Allen Paulos. At one point, Paulos asks us to imagine picking two random American adults. What are the odds of them sharing a mutual acquaintance? About 1%. What if we try to link them by two intermediaries—friends of friends? The odds jump dramatically: there’s a 99% chance that two random American adults can be linked by two connections. This helps explain the power of Sales Navigator and the success we experienced. While you may not find always find a direct line to a key decision maker, there is a very good chance that you’ll be linked by a second-degree connection. Every opportunity generated from Sales Navigator didn’t end in success. Like any marketing initiative, there are some dead ends—but there are far fewer of them coming from Sales Navigator. We can get straight to the key challenges of any sales opportunity: is the customer ready to buy? Have they already committed to a competing business or idea? These are factors we can’t always control. By focusing on the factors we can control, we spend less time with questionable prospects and give ourselves the best chance to succeed. Technologies like Sales Navigator can help us overcome John Wanamaker’s sense that half of advertising efforts are wasted. No marketing tactic will ever be perfectly efficient—but we can safely say that with social selling, there’s much less waste than ever before. Interested in learning more about how financial service providers can capitalize on social selling? Download our free tipsheet, Proven Sales Strategies for Financial Services.